Every investment portfolio needs a review from time to time. It’s important to ensure your investments are still appropriate for your current situation, goals and dreams. 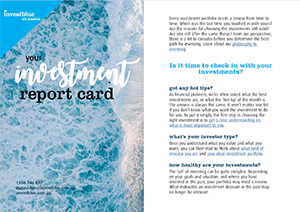 Our Investment Report Card has information on why we should check-in, how to build the right investment portfolio for you, and a link to our investment philosophy. 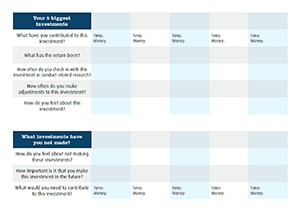 The worksheet will help you to understand how your current investments are going and if they are still appropriate.  You will also look at investments that you would like to make and what they will require. want to speak to you adviser?